With 25 years of baking and pastry experience behind him, Eric Smith’s drive to bring 5-star hotel desserts to everyone is something to get excited about. 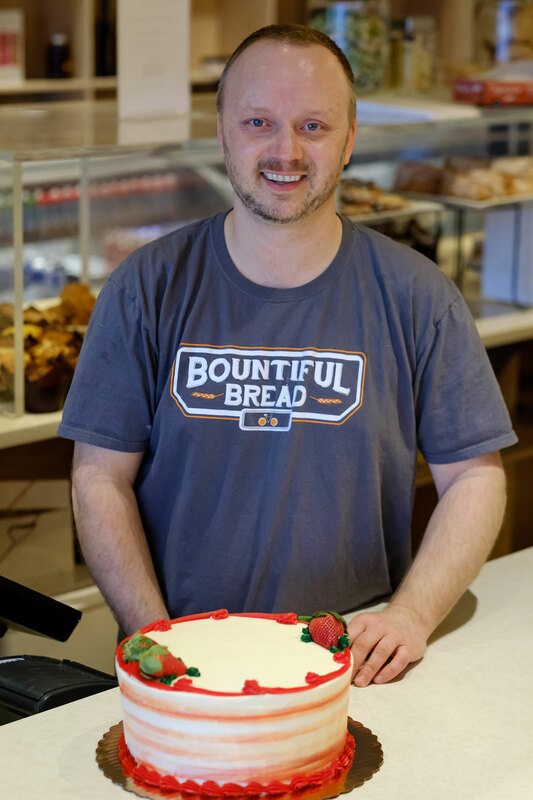 “My goal is to take our [Bountiful Bread’s] desserts to the next level,” said Smith in his “southern” Pennsylvanian accent, and what he’s referring to is to the gastronomical level (think food “exploding” in your mouth). Another thing that Smith learned was you must stay current. “You always have to be innovating. In order to be relevant and to appeal to people, you have to keep up with the trends.” This means delicious things for Bountiful Bread. Some items to keep an eye out for are more items to the cold case (located in the back of the café) like cheesecake bites, tortes, crème brûlée, and gluten free and vegan items. Plus, more breakfast items such as bear claws, sticky danishes, mini quick breads. Last but not least? “I am experimenting with variations based off the premise of “exploding yogurt”.” Don’t be scared, be impressed.